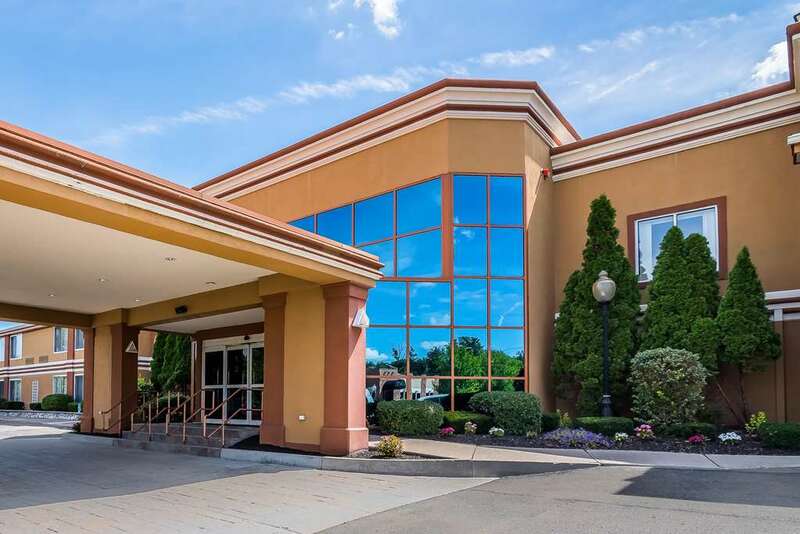 Get more for your money at the Quality Inn and Suites Albany Airport hotel in Latham, NY. We are close to the Times Union Center, SUNY Albany, Albany International Airport, Lake George and Siena College. Nearby businesses include General Electric, KAPL and Global Foundries. Count on amenities like free WiFi, free hot breakfast, an outdoor pool and exercise room. You can also grab a bite to eat at the Sake Restaurant, located at the hotel. Guest rooms come equipped with hair dryers, coffee makers, desks, microwaves, refrigerators and more. Also, earn rewards including free nights and gift cards with our Choice Privileges Rewards program.